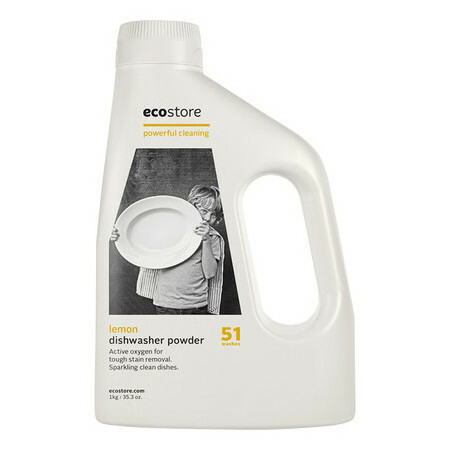 Ecostore Lemon Dishwasher Powder is made with plant- and mineral-derived ingredients plus biodegradable surfactants and enzymes (less than 1%), and has been independently proven to work as well as, if not better than, the mainstream alternative*. 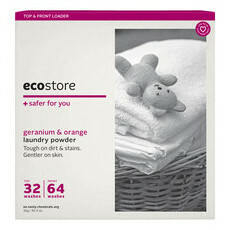 Low in sodium compared to other brands and free of phosphates, it has been approved by eco-labelling authority, Environmental Choice NZ (Machine Dishwashing Detergent License No: 0311100), which guarantees that this product is less harmful to the environment than mainstream dishwasher powders, and that ecostore is committed to environmental leadership. With a fresh lemon scent, ecostore Lemon Dishwasher Powder is super-concentrated to provide value for money — a 1kg bottle will do 51 washes — and is designed to leave your dishes sparkling clean, without any nasty chemical residues. 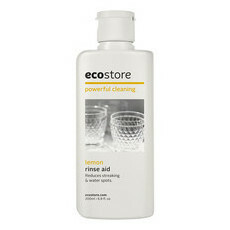 *As stated on ecostore website. Please note: It is recommended to wash silver, ivory, bone, antique and painted porcelain items by hand. 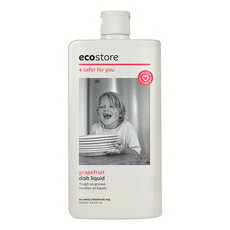 Placing these items in the dishwasher may result in discolouration, surface damage or breakage. Wont use anything else now. This is our go to. Everyday use. Works great. This dishwasher powder does an excellent job. While I'd prefer it if there was a fragrance free powder option, I do not find the fragrance to be too overpowering. I use vinegar in the rinse aid compartment and everything comes out fresh and clean. If something is really baked on, then that sometimes will come out still dirty, but that was the case with other "traditional" dishwasher detergents as well. 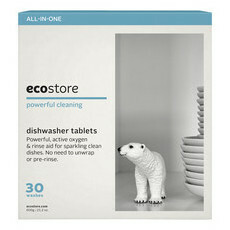 I now really notice the chemical smell when I visit other people's houses who use the traditional dishwasher detergents and I'm glad I no longer use them!